Izakaya Ten - Kampai! : Kampai! Izakaya Ten is in an unlikely spot – just a few blocks from the galleries in the far west of the Chelsea neighborhood in Manhattan. There isn’t a Japanese presence in the area – unlike the East Village and Japantown east of Grand Central – where izakayas are much more common. Tucked between a new apartment building and Tia Pol, a cozy tapas place, this was our introduction to izakaya food. We’d had it before, but this was the place that defined it for us. The narrow space has a bar on the left, behind which is filled with a full liquor selection, but a focus on sake and shochu. Stools at the bar are the easiest seats in the house most nights. The dining area, past the bar, has a handful of small booths (no more than 3 people – make that 3 close friends) lining one side beneath an enormous print of an octopus ravaging Japanese sailing vessels. A wooden banquet runs along the opposite wall. Small tables can be shuffled for different party sizes. Those not on the bench find themselves on tiny stools. These end up making for an intimate dining experience as the stooled guests hunch forward toward the table to avoid the bustling wait staff. Another smaller dining room hides behind the large walk-in glass sake & shochu fridge. This back room is ideal for larger parties up to perhaps 25 people. A map of Japan hangs above the bar so the bartender (from Okinawa) can explain where the sake and shochu comes from. They’ve also got draft Sapporo and Kirin. The drink menu consists of a single oversized laminated sheet. One side is full of sake with a handy “taste map” that helps customers discover their preferred sake style. Shochu and its accompaniments (calpico, umeboshi, etc.) 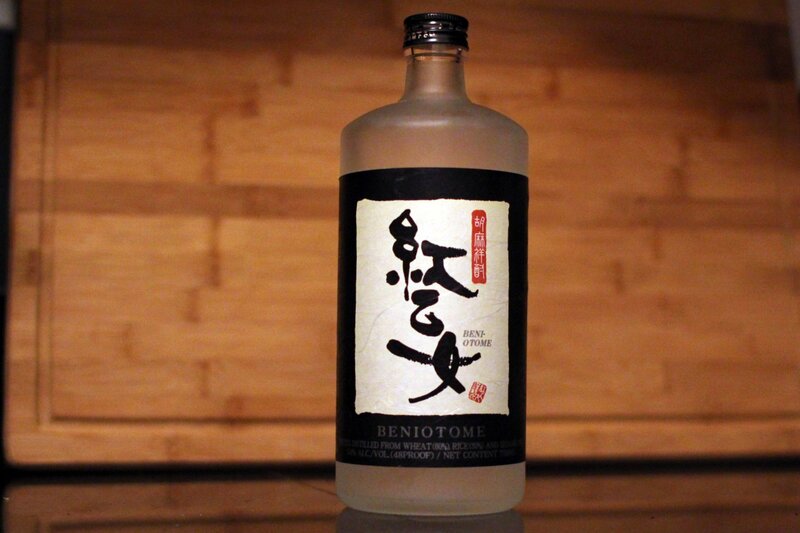 take up the opposite side of the sake list. 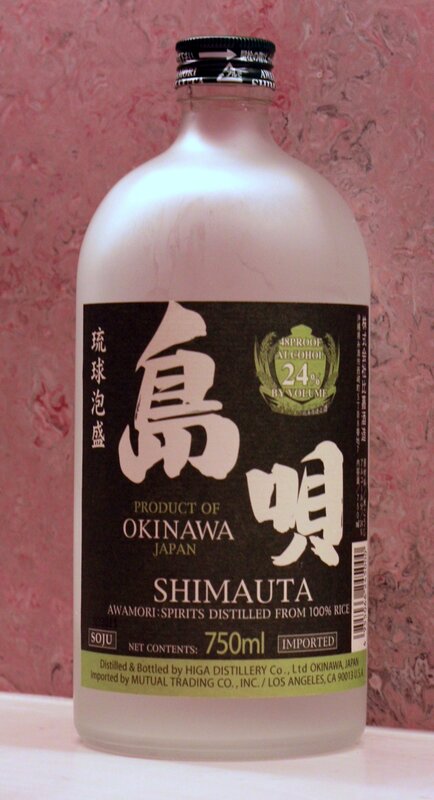 They’ve got a pretty extensive selection of shochu from “starter” mugis such as iichiko and Yokaichi to more adventurous imos (Kaikouzu) and Awamori (Zuisen). Beer and cocktails get tucked away on this page as well – there’s far more sake available than shochu. Unlike many other izakayas, Izakaya Ten does not have an extensive menu. Like the drink list, the menu fits on a single, stylish, oversized laminated sheet. Cooked items (and a few raw appetizers) are on the front – sushi & sashimi on the back. None of the dishes are particularly large, so be prepared to order as intended at an izakaya – a few bites to start, a few more, a few more, and maybe finish with a rice or noodle dish to fill up. A “nibbles” section provides a nice selection of affordable izakaya snacks; some traditional, some inspired. The tako wasa (wasabi marinated raw octopus) is excellent. The right amount of wasabi and not overly fishy like some places. The kara age (fried chicken) is tender and juicy with a nice, crispy skin. Don’t overlook the yakitori in the center of the menu. Only a few skewers are available, but what they have, they do very well. Other meat options include a deliciously buttery skillet-served filet – always a hit with hungry drinkers. Perhaps even more alluring is the buta kimchee. You can’t miss this dish even if you try. At some point during the evening someone on staff will pass with a sizzling platter of something that smells unbelievably savory. That will be the buta kimchee. Unlike other izakayas that serve this staple, they heat the dish up to the point where the liquid from the seasoning begins to caramelize, leaving a sticky, savory pile of cabbage kimchee and thin sliced pork. It’s got just the right amount of spice and sweet and umami. The seafood also shouldn’t be overlooked. The sushi is fresh. The grilled mackerel pays tribute to the predominantly Western clientele by removing head and tail, but leaves most of the fish intact. The miso sea bass is their own spin on the nearly ubiquitous miso cod in New York City haute Japanese restaurants. But not to be missed is the crispy flounder. While you’d expect this to be a pretty standard version of fried flaky white fish, it comes with an unexpected treat – deep fried flounder fins. As strange as that sounds, they’re addicting. A strange crispy texture fried to perfection. Among the “safe” dishes, the fried rice is really outstanding. The ramen is also surprisingly good since this is not a ramen shop – ask for extra noodles (for an extra charge) if you’re hungry. Don’t forget to ask about the specials. The wait staff don’t always announce them to customers, because the options are often nods to authenticity – Japanese cuisine that hasn’t been adapted to the American palate. Perhaps the most prominent in memory was a mackerel sashimi in which the mackerel was served over its own skeleton. Once you finished the sashimi, the waitress took the skeleton down to the kitchen where it was deep fried and returned to the table for an additional snack. Likewise, on New Year’s Eve, they sometimes serve whole deep fried shrimp. But by whole deep fried shrimp, we mean large prawns which are fried crispy so you eat the entire thing, shell and all. Finally, they don’t always have oysters, but when they do they’re worth getting. They even get in on the NYC ramp craze each spring with their own Japanese take on the spring vegetable. Izakaya Ten is and will always be “home” … the izakaya that started our culinary adventure. We’ve closed the place more nights than we care to admit. While it has changed a great deal since we began going, the change has been for the better of the restaurant and for the customers who have discovered this gem. It’s not the most authentic izakaya in New York. 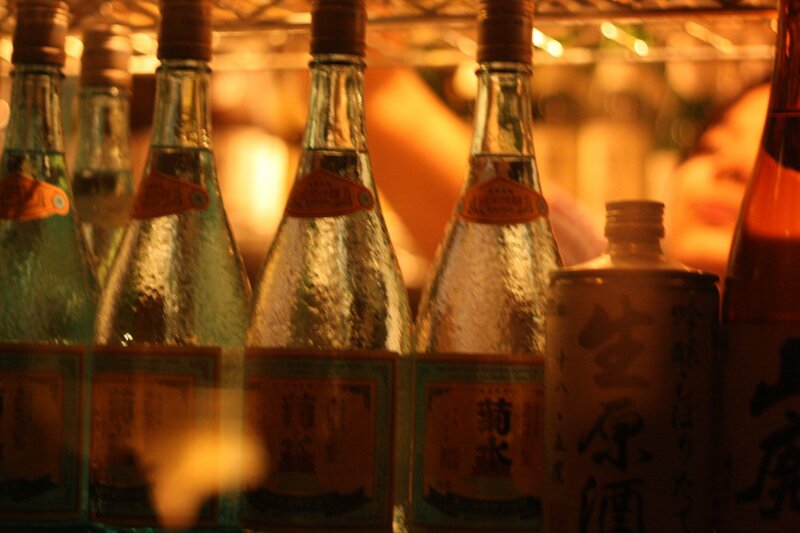 It does not have the largest shochu or sake selection in the city. It does not have the best Japanese food. But it may be the perfect combination of these things. Thank you! It’s truely nice review with your personal touch. introduce other Izakaya and all related to Japanese that makes UMAMI!